T47 taps are a tool we use almost daily. They are neither inexpensive nor readily available. And titanium is hard on cutters. So when one of our taps cracked earlier this year we were less than thrilled. 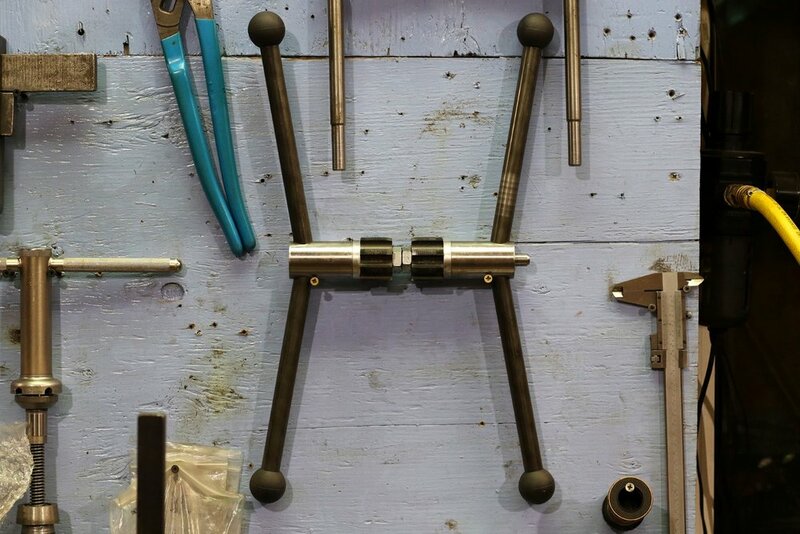 We found no comfort in learning that another titanium frame builder had the same experience the same week. The only good news was that we had broken opposite side taps and thus we now have a spare set. 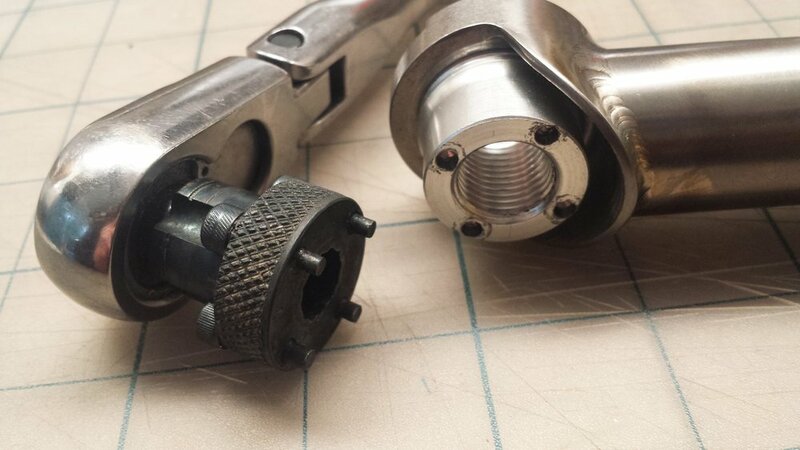 To protect the investment in a fresh set of taps, Dave made a pair of handles with extra width for increased leverage and rectangular rather than round tap retaining tabs to avoid the point loading of the tap's retaining notches that we suspect may have hastened its predecessor's demise. We've been using them for several months and they've proven a welcome addition to the wall, and as a bonus we no longer need to switch between T47 and BSA English taps on the same pair of handles.